A bench of Justice RK Agrawal and Justice Abhay Manohar Sapre reserved the order for April 9 as the BJP sought the deployment of paramilitary forces. The top court was approached because of the two-month-old strike by the lawyers in Calcutta High Court. 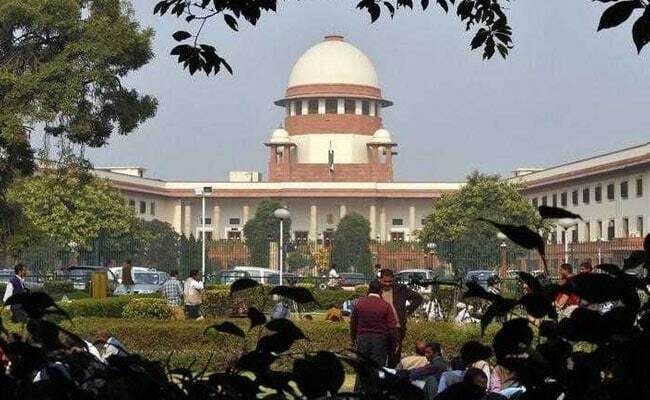 New Delhi: The Supreme Court on Friday reserved its order on a BJP's plea seeking that its candidate for the West Bengal panchayat elections be allowed to file their nomination papers and re-scheduling of the election. A bench of Justice RK Agrawal and Justice Abhay Manohar Sapre reserved the order for April 9 as the BJP sought the deployment of paramilitary forces alleging that its candidates were being denied the nomination papers by the Block Development Officer and were being targeted by the ruling party people. The Block Development Officer has been designated Assistant Panchayat Electoral Registration Officer for giving and accepting the nomination papers. At the outset of the hearing, the bench asked the BJP to approach Calcutta High Court. However, senior counsel told the court that they have approached the top court because of the two-month-old strike by the lawyers in the High Court. Describing West Bengal a "troubled state", senior counsel Mukul Rohatgi, appearing for the BJP, told the bench that if the state government was unable to discharge its constitutional responsibility, then the centre must step in and uphold the constitution. Appearing for the centre, Additional Solicitor General Tushar Mehta, referring to the situation, said three major political parties in the State - the BJP, Congress and the CPI(M) - were asking for central forces. Appearing for the West Bengal government, senior counsel Abhishek Manu Singhvi said the BJP was doing all this for the sake of "splash in media" and cited the areas of West Bengal where BJP had filed more nomination papers than the ruling TMC. Agreeing with Mr Rohatgi that there were troubles in the state, Mr Singhvi said the question was who was fomenting the trouble. "There is trouble in the state. The question is who is fomenting the trouble. You (BJP) have no presence in the state. You are fomenting the trouble and asking for central forces," Mr Singhvi said responding the BJP's arguments. He said that without approaching the State Election Commission and the High Court, the BJP has parachuted to the Supreme Court and this was only for the media splash.